The aluminum closure of the spray pump is ideal for the protection of liquid medicine. As a closed solution, the spray bottle cannot be opened by normal means. The medicine remains free of pollutants during the period of usage. Thus, the consumer or health care professional using the solution is guaranteed a pristine product every time it actuated, without fear of tainting. The pump currently features the ability to dose exact volumes of 100µl and 130µl with a very low tolerance variation per actuation. 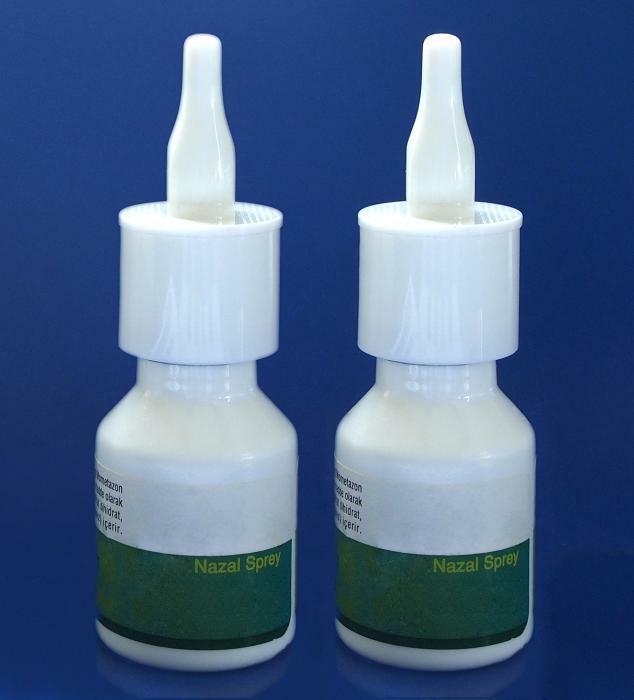 The crimp-on nasal spray is suitable with 20mm crimp on glass and HDPE bottles. Bona can provide not only the pump mechanism, but also the bottles required as a part of a combination package where costs are reduced for companies by ordering a full solution from the same supplier. The crimp on pumps comply with both FDA and EP requirements for pharmaceutical packaging, and have been lauded as offering an extraordinarily high level of quality, even bearing in mind that the pumps and bottles are marketed as a compliant pharmaceutical offering.